Compact unit offers 6-axis high function performance to handle PCB’s and components for soldering, component replacement and automating repetitive tasks. Axis for a total of six 3-axis has a three-axis basic axes, axis wrist, to any location within the operating range, it can determine a posture tool, you can freely layout the peripheral device. High speed (JT4 · 5.6) axis wrist is excellent, achieved best-in-class speed specs and pivot arm (JT1). It allows to significantly reduce the cycle time. 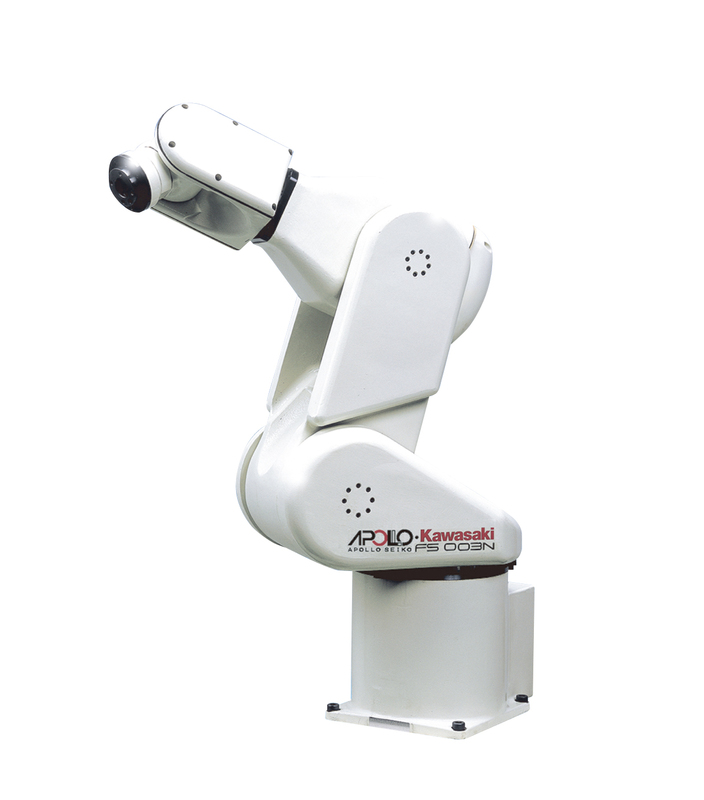 In addition, enough to withstand harsh working also as industrial robots, has achieved high accuracy and rigidity. Floor, ceiling, wall-mounted installation is possible, correspond to any work space. Built into the arm the sensor wiring and piping for the tool, but also to facilitate maneuverability. In addition, the adoption of an absolute encoder, eliminating the need was also issued when the origin of the power is turned on. Comes with a 6-axis brakes to all, because you can hold the posture even when the power is off, you do not have to worry about interference with peripheral devices due to gravity. Placement and keys that are configured on the thorough study of human movement of the fingers to manipulate, by 6.4 in. color LCD screen with touch panel Large, easy-to-view, providing a comfortable operating environment. By a simple method by means of a menu of their own teaching, teaching is easy to work can be done in a short period of time. Combined with that of the controller or TERRA LUNA soldering is, of course, can be mounted laser head, dispenser nozzle, as well as CCD camera.